Taiwan is a nation with a fraught history. For fifty years, from 1895 to 1945, it was under Japanese occupation. (The story of the Japanese suppression of the native tribal population is told in Wei Te-sheng’s fascinating, if flawed, epic Seediq Bale: Warriors of the Rainbow . But that population had already been displaced by Chinese colonists, who themselves had occupied the island for two centuries.) Returned to China after Japan’s defeat, the island found itself flooded with exiles from the mainland after the victory of the communists in the Chinese civil war. Chiang Kai-shek’s nationalist Kuomintang established a military “government in exile” which lasted until the late ’80s, all the while still expecting at some point to return to mainland China as the rightful government. In this environment, there arose many levels of cultural and class conflict. While the indigenous population remained peripheral, there was friction between long-time Chinese inhabitants and the newcomers who assumed they wouldn’t be staying and yet took for themselves a dominant position. And even among the newcomers, there were status differences between government functionaries and members of the military. This sense of instability and feeling of transience had a profound effect on the children of the exiles who found themselves without firm ground in which to take root. This in turn became one major theme in the New Taiwan Cinema movement which arose in the ’80s as the government’s control began to loosen. While there were a number of prominent names in the movement, few of their films reached a broader audience in the West beyond film festivals. It was at festivals that I saw Tsai Ming-liang’s Rebels of the Neon God (1992) and Hou Hsiao-hsien’s Flowers of Shanghai (1998). (I’ve since seen other films by these two on disk.) 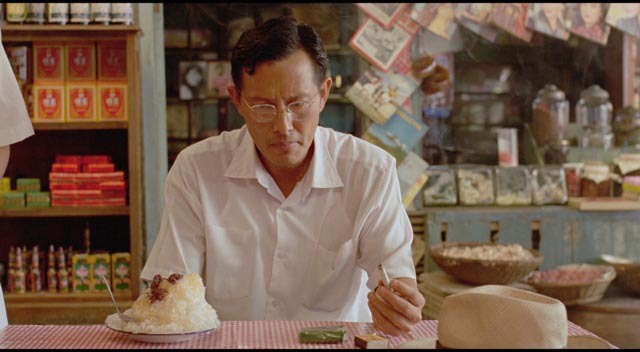 Perhaps the most prominent international success to come out of Taiwan, however, was Edward Yang’s wonderful family drama Yi Yi (2000). Although a major figure, many of Yang’s films have been more difficult to see, although his fourth feature (of only seven) has attained a kind of legendary status as one of the movement’s masterpieces; I’ve read laudatory things about it over the years, but it has been essentially unavailable. Until now, that is, with Criterion’s impressive new two-disk Blu-ray release. A Brighter Summer Day (1991) more than lives up to its reputation, both conceptually and stylistically. Almost epic in scale (it runs just under four hours and features something like a hundred characters), its focus is nonetheless intensely intimate. While detailing an entire society at a particular moment in time, the film examines a single life in the context of that society, and the ways in which that life is shaped by all the forces which surround it. Xiao Si’r (Chang Chen) is the fourth child and second son of a family displaced from Shanghai to Taipei. His mother was a teacher on the mainland, his father a minor government functionary. They struggle in their new circumstances under a constant state of insecurity, with the father preyed on by one of his colleagues who seems to be drawing him deeper into shady dealings with promises to help the family improve their situation. Si’r, failing in his education, is relegated to a lower standard night school, where he tries to remain on the fringes of the gangs which constantly and somewhat aimlessly fight one another. By chance, he meets and is immediately attracted to Ming (Lisa Yang), whose boyfriend Honey (Lin Hung-ming), leader of the Little Park Gang, has gone into hiding after reputedly killing a member of the 217 gang in a fight over Ming. This attraction becomes a source of conflict between Si’r and members of the gang who themselves are vying for leadership in the vacuum left by Honey’s disappearance. The core of the film is the story of Si’r navigating these conflicts while simultaneously dealing with his problems with authority at school and frictions within his own family at home. That is, it’s the story of an adolescent working out his own identity and finding his place in the world. The problem is that the world he inhabits is deeply unstable, offering little in the way of support. Yang portrays all this in scenes which on their surface seem luminously clear, but yet are full of subtle nuances and complications. Every relationship is richly layered – Si’r and his parents, Si’r and his siblings, Si’r and his friends Cat (Wang Chi-tsan) and Ma (Tan Chih-tang), and most importantly Si’r and Ming, who represents for him an ideal which she neither wants nor is able to live up to. But A Brighter Summer Day is much larger than the sum of its narrative parts. Yang’s masterful technique embodies these events in an expressive structure which is often breathtaking – and occasionally confusing to a non-Chinese viewer. He leaves what may seem to be significant details unexplained, disorienting the viewer; there are linguistic details which are simply inaccessible to an English-speaker – when the parents don’t want the Mandarin-speaking kids to understand what they’re talking about, they switch to the Shanghai dialect; verbal play is lost in the subtitles (Godfrey Cheshire in his booklet essay points out a double meaning in the nickname of Si’r’s older brother). The film is constructed on a foundation of multiple dualities – family and gang, of course, but in addition the school is next door to a film studio into which Si’r and his friends sneak to watch movies being made. Here we have oppressive reality side by side with illusion, with Yang using this opportunity to mock traditional Taiwanese filmmaking with glimpses of mediocre melodramas. These in turn are juxtaposed with the foreign films the kids go to see in a local theatre – we hear John Wayne in Rio Bravo; a poster for The Misfits is glimpsed. But beyond Hollywood, these kids embrace a rich stew of international pop culture. Cat aspires to sing Elvis songs; Si’r’s little sister reads Japanese comics; at school both boys and girls play basketball; Ma has a Japanese katana which was left behind in the attic by an officer when the Japanese were finally kicked out of Taiwan after the war. Perhaps the most striking appropriation is Honey’s embrace of War and Peace, his favourite among all the “swordplay” novels he has read while in hiding, and the only one, he tells Si’r, whose title he can remember. The novel’s title encompasses the conflicting forces which define Si’r’s world. And finally, woven into the film’s visual fabric is the crucial duality of light and darkness. While rationally motivated by the unreliable electrical system of Taipei which repeatedly plunges interiors into darkness lit by pinpoints of candlelight or the beam of a flashlight Si’r has stolen from the studio, this has deeper thematic and psychological implications for a boy trying to find his place in a world which offers no signposts or reliable guidance. Crucial sequences are played in almost complete darkness, offering confusing glimpses of violent action. On top of which Si’r himself suffers from vision problems, an inability to see clearly which finally assumes deep thematic resonance. 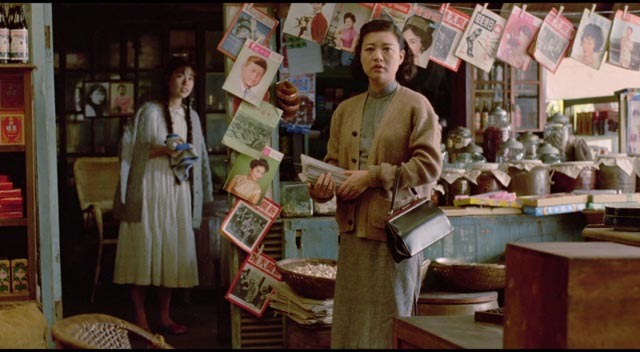 A Brighter Summer Day is superbly photographed by Chang Hui-kung and Li Long-yu, every image exquisitely framed and lit to create a visceral sense of a material world which is fixed and stable in contrast to the social and psychological world inhabited by the characters. Yang’s approach blends a novelistic sweep with a cinematic precision which results in one of the most immersive and deeply moving films I’ve ever seen, which makes it all the more puzzling that it has remained so hard to see for two-and-a-half decades. It’s all the more remarkable that the huge cast was largely made up of amateurs, with whom Yang spent a full year in preparation before shooting; this work paid off in performances which seem completely natural, giving the film for all its visual richness the feel of documentary observation. In fact, Chang Chen’s own older brother Chang Han plays Si’r’s brother Lao Er, and their father is played by their actual father. While the film’s milieu may seem exotic and unfamiliar, the emotional landscape of Si’r and the other kids is entirely recognizable in its delineation of the turbulent lives of adolescents struggling with the difficult process of becoming autonomous individuals. A Brighter Summer Day has been compared to Nicholas Ray’s Rebel Without a Cause, but as good as that Hollywood classic is, Yang’s film is deeper, richer and ultimately more profound. Criterion’s Blu-ray presents the film in a 4K scan of the original camera negative, restored with the assistance of The Film Foundation’s World Cinema Project. The image is flawless, with rich colours, deep blacks and a great deal of detail in the expansive images. The original mono sound is clear, with a natural presence. Interestingly, for a film of this length, there is no musical score. 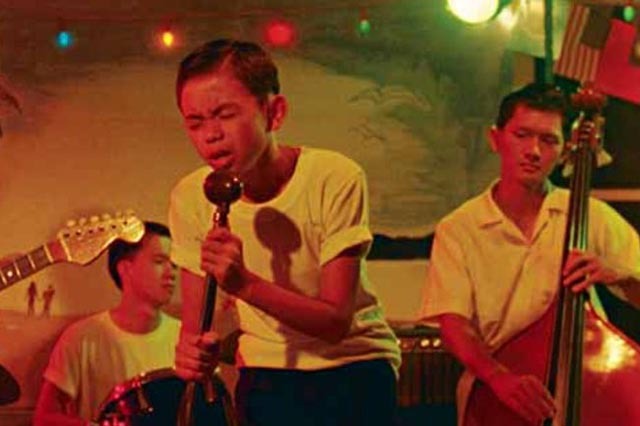 All music in the film is diegetic – either heard on the radio, or from a record player, or in the performances of Cat and his bandmates, even during one crucial scene between Si’r and Ming a school brass band rehearsal. Not only have Criterion made this masterpiece available to a wide audience; the company has taken the opportunity to provide an overview of the movement out of which it emerged. The set’s second disk contains three hours of supplements to go along with critic Tony Rayns’ commentary track on the feature disk. That track is something of a heroic effort as Rayns talks for the full four hours, offering insightful readings of the films action and themes, along with a lot of detail about the history of the period depicted and about Yang’s own life. I confess that Rayns pointed out a lot of things which I had simply missed on an initial viewing, much of it details of the social environment the characters inhabit – the class differences between the Little Park Gang and the 217s and yet another gang involved in the violent incident at the film’s halfway point, whose members are Taiwanese rather than displaced mainlanders. Rayns also offers details about the political situation which makes Si’r’s father so vulnerable, eventually leading to his arrest and interrogation by the secret police. This track is invaluable for a full appreciation of the film. The second disk’s extras include Our Time, Our Story (1:53:31), a feature-length documentary on the New Taiwanese Cinema made by Hsiao Chu-chen in 2002, which through interviews and clips fills in the political context to which the movement was a reaction and sketches in the stories of many of the major figures – including Hou Hsiao-hsien, Tsai Ming-liang, Sylvia Chang and others. More specific to Yang’s film is an interview with star Chang Chen (18:52), who was only 14 when he made his debut in A Brighter Summer Day and has gone on to a prolific career in major Chinese films. Finally, Likely Consequence (45:19) is a one-act play written and directed by Yang in 1992, recorded on a bare stage in front of its premiere audience. This two-character piece shifts back and forth from comedy to much darker tones as a married couple try to figure out what to do with the body of a man the wife has killed in their kitchen. Like the documentary feature on the disk, this has been sourced from a standard definition tape with a soft image and weak sound; however, its archival value supersedes the technical deficiencies. The liner booklet includes a brief introduction written by Edward Yang for the Tokyo International Film Festival in 1991 in addition to the essay, as mentioned above, written by critic and filmmaker Godfrey Cheshire. This entry was posted in Review and tagged Blu-Ray, Chinese Film, Criterion, Directors, Restored Films. Bookmark the permalink.